The werewolf is really cheesy looking, but it's a good popcorn flick for Halloween for sure. Great pick Lupa. Corey Haim made some impressive movies in the 80's, but this seems to be one of the forgotten ones. And though Busey is a bit unbalanced in real life, most people would agree that he is a very intense actor. Gary Busey and his Uncle Red character were SOO funny. I also got Silver Bullet very cheap. It's always been a fave of mine. And yes, Corey Haim was very good in this movie. Thanks, guys. I don't know what it is, but I love Gary Busey. I miss the show "Life with Busey," I thought it was hilarious. Yeah, he's a bit unbalanced, but he always makes me laugh. "When you're bored, just honk at some geese. Like this *geese sounds*. That way you can't say you're bored; you're honking at geese." Silver Bullet does lack a little in the horror department, but I really like it because of the characters. Marty and his Uncle Red are really entertaining to watch, and Jane grows on you once she stops being so entitled. Also, intense overacting from the townsfolk characters make the horror scenes hilarious to watch. 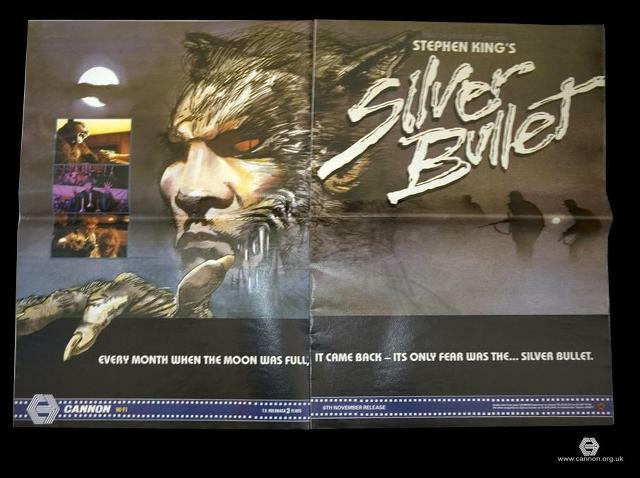 I bought Silver Bullet on VHS...I haven't seen it in 20 years...Lupa- thanks for bringing it up. Cool, hope ya have fun. It's great 80's horror camp. I remember last year the KINDERTRAUMA website reviewed SILVER BULLET and the highest praise they were willing to give it was that it was "okay" or "mediocre". A bunch of people (myself included) voiced our opinions that it was worth another viewing: that it was a good movie . They wrote back that this was the most emails they've ever received on a movie's behalf and did another story on the movie giving it a better review and more praise. Then for weeks afterword all these SILVER BULLET and "dont p!ss off SILVER BULLET fans" jokes would pop up on there. I can see where someone wouldn't like the movie because as far as horror goes, it's not terribly memorable. However, it should be said that it still does have some good horror moments there, but most of its strengths lie in the character moments. Silver Bullet is one of those "Crank em out cuz its got Steven King's name on it" 80's flicks...like Maximum Overdrive, these two were panned pretty badly in the day. The problem with both is that neither of them are "horror movies", but they are marketed as such, and thats why they got grilled. Maximum Overdrive is really more of a science fiction movie...and a silly one at that. But Silver Bullet....well, its just hard to make a "horror" movie where kids are your main protagonists. I mean, a werewolf brought down by a crippled kid and his sister. Having said that....its got Everett McGill as the reverend and it has some really, really creepy moments. The chase-into-the-wooden-bridge scene, the girl in the garage with the pile of cans, of course the first werewolf encounter on the bridge. i had no idea what you guys were talking about until i realized i was thinking of silver streak, not silver bullet. i couldn't understand how no one mentioned how they loved gene wilder and richard pryor. i thought a lot of those steven king flicks of the late 80's weren't very good. i'll have to add this movie to the list of movies i need to see. I've always liked Silver Bullet, having a young Corey Haim, Megan Follows of Anne of Green Gables fame, and the always entertaining Gary Busey was a good cast. I don't know, I think I like werewolf movies more than others, and even though it's more kid oriented I liked it. xchazx that was hilarious! My vote is "Stir Crazy" for second best Pryor/Wilder combo. Started the Halloween season a little early with Silver Bullet (1985). I really love the chemistry and dialogue between Haim and Busey here. Busey is just great as Red, not a prefect man but fair and likes the kids. The feel and atmosphere is fantastic and i like the old school effects. Some people say that the wolf looks bad but i don´t mind. It´s also always nice to see cool actors like Everett McGill, Terry O´Quinn and Bill Smitrovich on screen. 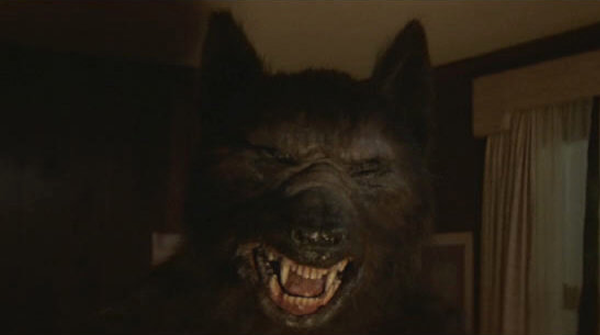 I absolutely love silver bullet,remember when I first watched it when first released to vhs back in the mid 80s the scenes where the werewolf was in the greenhouse and the attack on the woman early on in the movie i thought were pretty creepy. Also when haim is letting off the fireworks on the bridge and the hunt in the woods when they can hardly see anything for all the ground fog. Gary busey is awesome and the finale in the house where the silver bullet falls down between the grate was pretty tense,in fact i'd say I love everything about the film! Actually You've Made me want to watch it again atomik,I'll grab it off my shelf for another viewing soon. I watched a horror comedy last night I had never seen before and that is 1989's - sundown vampire in retreat directed by Anthony hickox,i really enjoyed it,was completely bonkers though but also a lot of fun! Ooh, I recorded Sundown off the horror channel. Will get to it soon! Yeah that's where I watched it from helen,I recorded it from earlier in the month,it's broadcast in wide-screen as well which is a bonus. Fun film but most definitely nuts! I love Silver Bullet. So many things make this a winner for me; the cliched Stephen King setup, Megan 'Anne of Green Gables' Follows (who I had a minor crush on as a teen), Corey 'not ruined yet' Haim, Gary 'Eye of the Tiger' Busey... and so on. It's an odd mix of horror and family coming of age movie, but I like that tone. Reminds me of 'Something Wicked this Way Comes'. Or, more in keeping with King* as the author; Stand By Me meets a werewolf movie. The DVD has a commentary by the Director. I need to see Something Wicked, sounds good! Sundown was great fun, Warrior. I loved the bats! Martin Prince: As your president, I would demand a science-fiction library, featuring an ABC of the genre. Asimov, Bester, Clarke. Student: What about Ray Bradbury? Yeah, Ray's stories can be pretty hit or miss. If it's The Watcher In The Woods kind of Disney horror then that's cool? I think Something Wicked suffered a similar fate, with lots of studio interference and lots of changes. They thought it was too dark or something. It's definitely got some good points and is well worth a watch. Yeah, remember when the channel first started? It was dire!